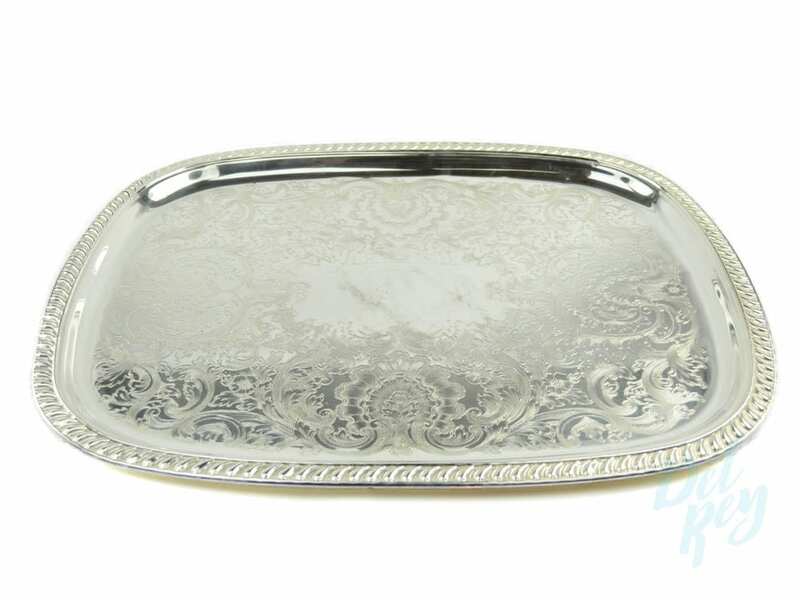 Cake Stand – Round Silverplated 15 in. 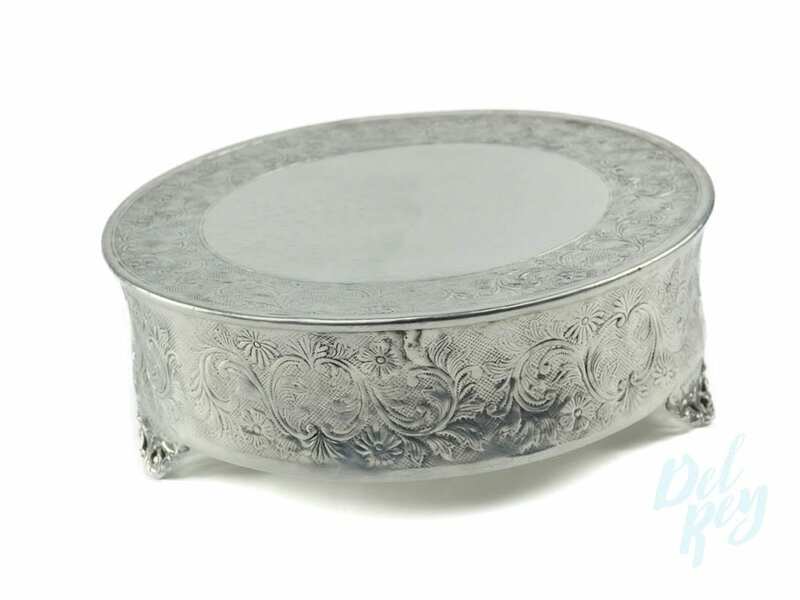 Cake Stand – Square Floral Pattern 18 in. Cake Stand – Square Floral pattern 14 in. Cake Stand – Round Floral Pattern 22 in. Cake Stand – Round Floral Pattern 18 in.